A Florida teenager was absent from school for an extended period of time because of a life-threatening illness. Her mother continuously asked the school for the student’s make-up work, however the replies were sporadic, and by the end of the school year the student was informed she had to make up her junior year credits during her senior year. The Orange County, Fla. student dropped out of the public high school and finished her senior year in another county at a vocational school. School districts are obligated to deliver good customer service. Every employee should be trained in customer service; monitored and evaluated with the ultimate purpose of improving student achievement, school culture, and in the positive development of teaching and learning relationships. So what do we mean by this? Beginning with the Superintendent and the Board, customer relationships with parents and students should be approachable and reliable. Classroom teachers should have comprehensive management plans to increase communications with parents and students. Secretaries, bus drivers, custodians, coaches, and other staff will have been trained in the development of interpersonal relationships and monitored accordingly. Specifically schools regarded as providing excellent customer service have researched their competition and studied trends in education across the nation. For instance, staff handbooks should now include time limits for all school personnel to respond to voice mails and parent schoolwork requests. As in any organization whose customer service procedures are honed to being efficient, all emails should be responded to within 24 hours during the workweek. Letters should be answered within a five-day period. The school should provide a welcoming environment with signs directing new students, guests, and vendors to the appropriate offices. All visitors should be greeted within minutes of their arrival and directed to the appropriate person for the assistance needed. 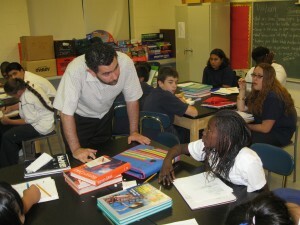 From being more flexible in arranging parent-teacher conferences from immediately before or after school in order that more parents can actively participate in their children’s educational and social needs, to arriving at a school and standing at the counter and immediately being recognized and helped are customer service standards that each school district should embrace. It’s the caring leaders of today who are making the difference in the leaders of tomorrow, and why shouldn’t students model themselves after the outstanding examples of respect and leadership? Well, This blog does define why are necessary to improve customer service in schools in the world. this blog is very useful for me and all.